I’m not crazy about events titled “Death of So-and-So” for a handful of reasons, but the main one is that readers catching up on the Marvel U chronologically inevitably have the outcome spoiled. For example, the post-Civil War “Death of Captain America” is kind of a giveaway as to how that story resolves. There’s just now way around it. 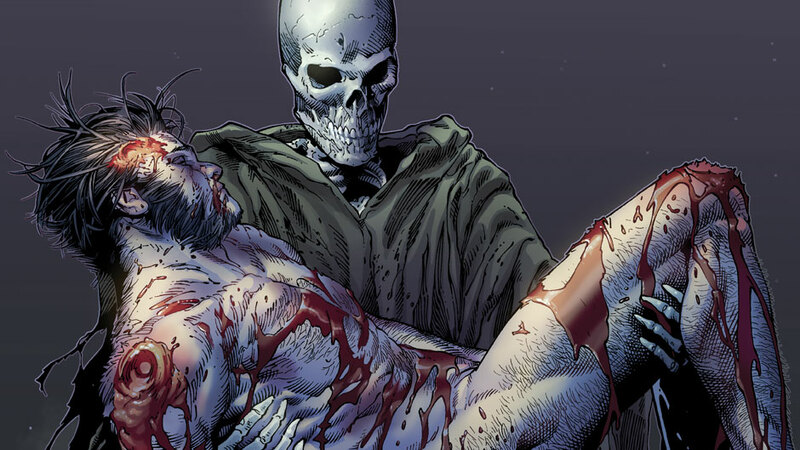 That said, the “Death of Wolverine” couldn’t be less spoiler-filled. The lead-up arc to the main event is titled “Killable” and the actual “Death of Wolverine” occurs in a separate four issue miniseries. There’s no ambiguity here; after a seemingly immortal life starting in Canada in the 1800’s it’s time for the man called Wolverine to die. Although the build-up has its flaws, the actual Death of Wolverine event is a great entry into the Marvel comics canon, with some surprisingly strong comics arising in Logan’s wake. Below you’ll find the trades collecting the components of Death of Wolverine (no all-in-one variation with this event, unfortunately), as well as the Comic Book Herald issue by issue guide. Previously: The Life of Wolverine! It’s not a necessary addition for the Death of Wolverine storyline, but Battle of the Atom references Killable and can be read between Wolverine #7 and #8. As mentioned above, you could conceivably start with issue #5 to get the most pertinent details. There will be references made to issues #1 to #4 that are very confusing if you skip, but if you’re just like “Get me to Death of Wolverine” it’s skippable. As also mentioned above, you can also read Battle of Atom in its entirety for some “killable” Wolverine action. I prefer this event (checklist included at the end of my modern X-Men reading order) between Wolverine #7 and #8. You can quite nicely read the Death of Wolverine event without any tie-ins or intruding comics. It’s a really well executed sendoff for the beloved X-man from Charles Soule and Steve McNiven. Highly recommend, even if you read nothing else on this list. This first issue occurs in the direct aftermath of Death of Wolverine #4 and should be read accordingly. Sets the stage for much of the Death of Wolverine comics to come. You definitely don’t need to read all of Axis to understand Wolverines, but it will explain Sabertooth’s characterization moving forward. Next: Go back and read the Life of Wolverine! Where does Wolverine and the X-men (v2) fall into this? Is there a storyline that leads into the Old man Logan event? Nope, the Wolverine title just jumps into an alternate future story. The preceding arc is actually “Get Mystique” from Jason Aaron. Well worth a read (#62 to #65 I believe), but not connected to Old Man Logan. You can read standalone and enjoy!